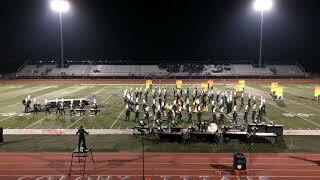 The Murrieta Mesa Marching Emerald Regiment performs at the 2018 SCSBOA championships on November 17. The group scores 86.8 taking 4th place overall. 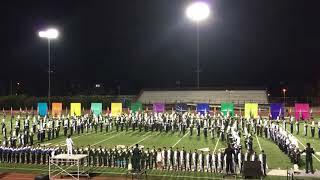 Murrieta Mesa Marching Emerald Regiment performs at the Vista field tournament on 11/10/18, scoring 85.5 points and taking first place in the 3A division. 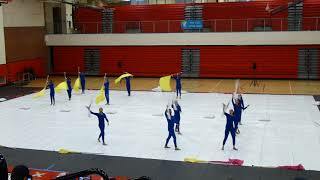 Colorguard takes second place in 3A with a score of 80.5. Happy Veterans Day! Thanks for your service!! 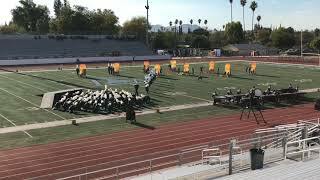 Murrieta Mesa Marching Emerald Regiment performs at the West Covina Field Show Tournament on 11/6/18. 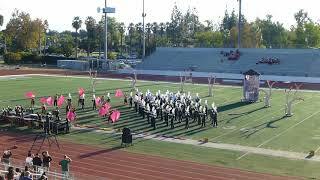 The band scores 80.75 and places second in the 3A division, just 0.2 points behind the first place band. Color Guard also takes second with a score of 79.5! 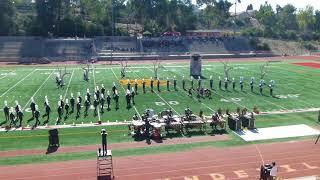 Murrieta Mesa performs at the Lester Oaks Field Tournament, with band, percussion, and colorguard all taking first place in their division. Murrieta Mesa Marching Emerald Regiment performs at the Mt Carmel Field Tournament on October 27, 2018. 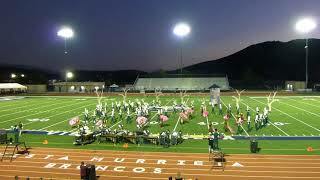 Murrieta Mesa Performance Corps performs at Vista Murietta WBA field tournament, October 6, 2018. 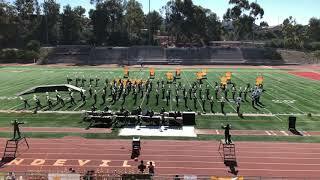 Mesa scores 71.75, taking first in their division and high visual, high general effect and high auxiliary. 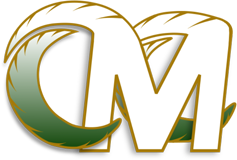 Murrieta Mesa colorguard performs at San Marcos Championships on April 7, 2018, scoring 84.45 and taking home a silver medal! Congratulations, team! FIRST PLACE!! 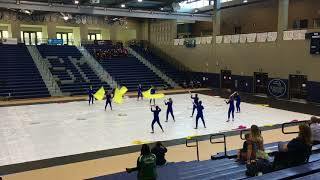 Murrieta Mesa HS Colorguard performs at Colony HS on March 18, 2018, taking first place in their division with a score of 81.27. 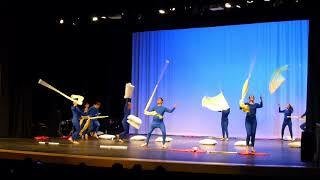 The guard earned the third highest score of 22 teams competing, including the world famous RCC Fantasia team! Way to go!! 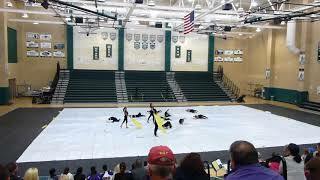 The colorguard performs at the Festival Awards Concert at Murrieta Mesa HS on 3/13/18. 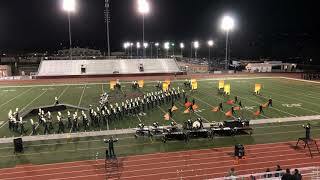 Murrieta Mesa performs on March 3, 2018 at Del Norte High School in Rancho Bernardo, scoring 73.59 and taking 2nd place in their category. Sorry everyone - it seems my camera had an auto-focus malfunction and part of this video is a little fuzzy. I'll do better next time! 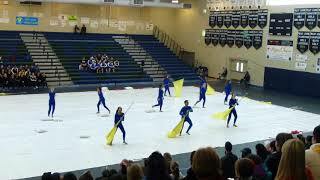 The Murrieta Mesa Colorguard performs at the West Coast Winter Guard competition at Murrieta Mesa High School on February 10, 2018. The Guard scores 60.29, winning second place in their division. Not bad for the first show of the season! 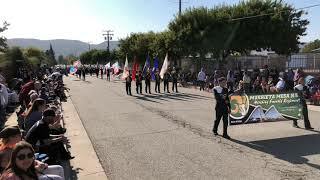 Murrieta Mesa, Vista Murrieta and Murrieta Valley join forces during the Murrieta Marching Band Extravaganza on November 16, 2017, playing an original arrangement of 'Somewhere Over The Rainbow'. 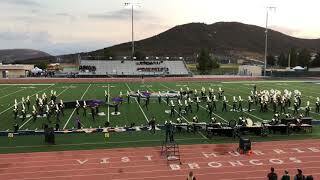 Over 400 students take the field in a uniquely Murrieta show of musical force! 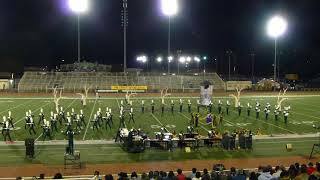 Murrieta Mesa performs Rapunzel at the Vista Field Tournament on November 11, 2017. 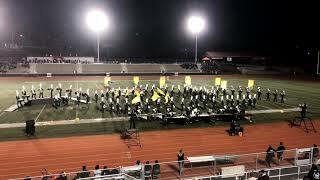 The band scores 75.6, winning first place in their division with the eighth highest score overall. Our color guard team finishes the season in great form taking third place in the overall competition. Murrieta Mesa performs Rapunzel at the West Covina Field Tournament on Nov. 7, 2017. 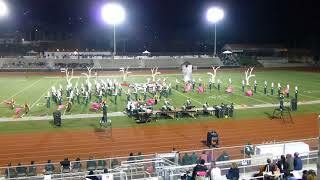 The band scores a school record 77.60 points, giving them third in their division. Color Guard also takes 3rd in their division with a score of 77.00. Murietta Mesa performs at the Mount Carmel field tournament on October 28, 2017. The band takes second place in their division, color guard also takes second place in their division, and percussion takes third place overall. Murrieta Mesa performs Rapunzel at the Murrieta Vista WBA Tournament on October 7, 2017. Earning a score of 63.45, the Corps takes second place in their division with the 6th highest score in the Tournament!